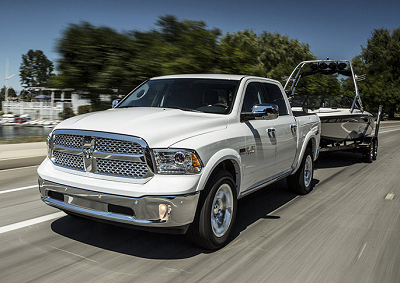 The 2016 Ram 1500 from El Paso, TX is all about strength, efficiency, and performance. With a range of engine options and technology features, you are treated to a set of thrilling driving dynamics. If you’re looking for a flexible and fuel-efficient ride that can take you anywhere, check out this full-size pickup truck at Ram dealerships in El Paso, TX. With three engine options, the 2016 Ram 1500 gives you a say to the level of power and strength your vehicle should wield. The 3.6-liter V6 delivers 305 horsepower, 269 pound-feet of torque and a fuel economy of as much as 18 mpg city/25 mpg highway. The 3.0-liter turbodiesel V6, on the other hand, produces 240 horsepower and 420 pound-feet of torque, with 20/28 mpg via two-wheel-drive. Posted on August 28, 2016 by CedrickPosted in BusinessTagged 1500, 2016, dealerships, paso, ram.